Wildebeest totally made up for their “Budweiser incident” (background info here and here from late May 2016) by putting on this great Brassneck vs Four Winds beer pairing dinner — a Southern-style menu by Chef Alessandro Vianello paired with beers from arguably the best two breweries in BC! 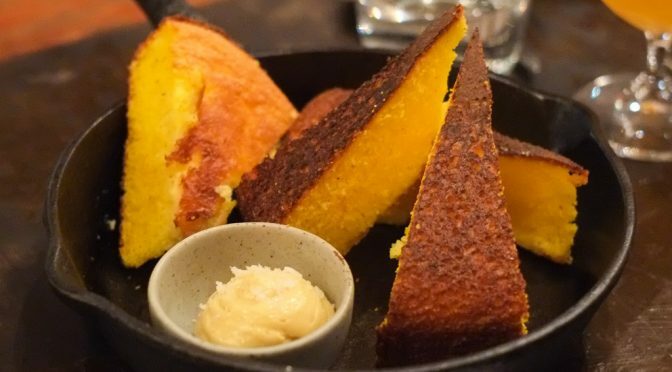 Five courses and 10 beers for a very reasonable $69 (plus tax and 18% gratuity). There are actually a lot of these kinds of beer-pairing dinners going on if you know where to look, but I usually pass on them because I’d end up poor! But this one I couldn’t refuse. I didn’t take any notes, so my writeup isn’t as detailed as usual. I was more into just enjoying the food, beer, and company that night. Actually, I’m lying. I took two little notes, which I’ll bury in this post. For today, I re-visited Molli Cafe to try out their tortas. I tried their tacos before (pretty good) but my torta itch was only lightly scratched with the tortas from TK Sub Cafe so I was hoping Molli Cafe would do a better, more satisfying job. 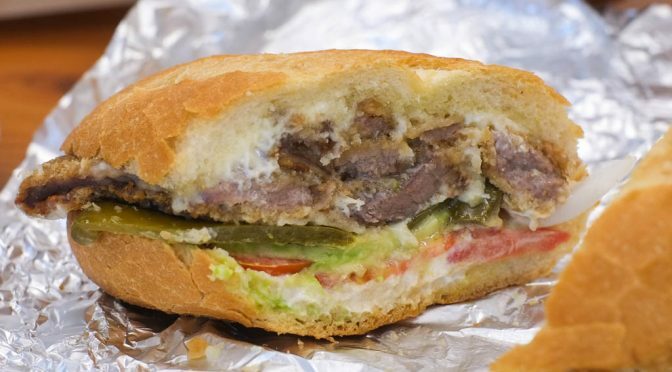 In short: my stomach was VERY satisfied but the itch for tortas still remains. This list doesn’t include existing restaurants that already serve poke. Oka-San Japanese Kitchen on Fraser comes to mind. 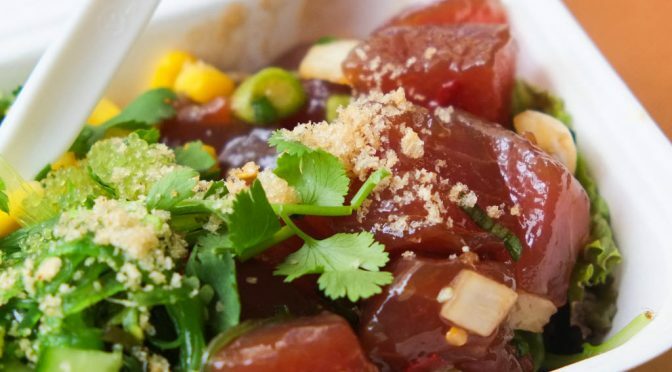 It’s no exaggeration to say that poke is the most hyped-up food product of 2016. I love sushi and sashimi, and love buying fish and uni from places like Fresh Ideas Start Here and do my own pig-out sessions at home. So when all these poke places started opening up, I wasn’t in too much of a rush to try them out. Luckily, it appears that the only new poke place that is doing it right (by actually marinating their fish in sauce) is The Poke Guy at 420 Richards St. — love that address.